Black canvas faux leather front jeans with stud imprints. Front zipper with two front pockets. Stretch twill back with two back pockets. Skinny fit. Belt loops. 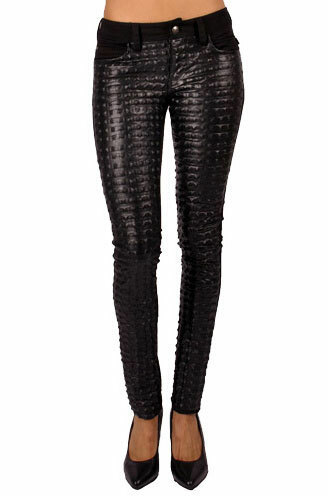 These jeans are hot and perfect for a night out on the town. Made in the USA.